Video content analysis is essential for efficient and intelligent utilizations of vast multimedia databases over the Internet. In video sequences, object-based extraction techniques are important for content-based video processing in many applications. 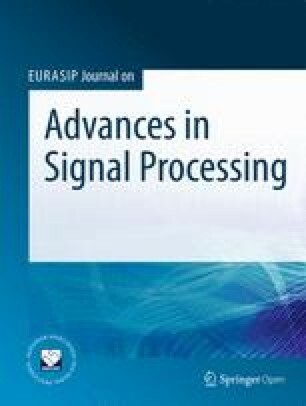 In this paper, a novel technique is developed to extract objects from video sequences based on spatiotemporal independent component analysis (stICA) and multiscale analysis. The stICA is used to extract the preliminary source images containing moving objects in video sequences. The source image data obtained after stICA analysis are further processed using wavelet-based multiscale image segmentation and region detection techniques to improve the accuracy of the extracted object. An automated video object extraction system is developed based on these new techniques. Preliminary results demonstrate great potential for the new stICA and multiscale-segmentation-based object extraction system in content-based video processing applications.